Demand for rental properties remains at an all-time high.More people are choosing to rent than at any point in recent history. Institutional investors, as well as individuals are getting in on the action, snatching up rental properties to fill out their portfolios. Single-family rentals are an especially hot item. Roughly 40 percent of renting households today are in single-family rentals –that’s up from 34 percent in 2005, and single-family rentals are catching the eyes of investors. 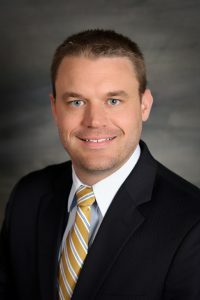 DS News sat down with Kevin Ortner, President and CEO of Renters Warehouse, to talk about the state of the rental market and gather his thoughts on what’s in store for single-family housing. Where is all of this demand for rental housing coming from? Whether by choice or by economics, we’re seeing a record number of households today opting to rent. Homeownership is the lowest it’s been since the ‘60s. 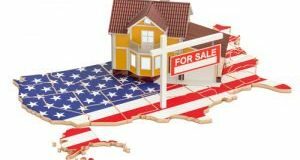 Much of this demand does come down to simple economics –for many people today, especially those who may have been impacted by the housing crash, or the younger, cash-strapped generation, buying is difficult. Saving for a down payment has always been tricky, but it’s even harder when you’re trying to pay off student loans and challenged by low wage growth. Part of this demand, though, is also coming from the fact that many people are increasingly preferring renting over buying. People today are more mobile, they don’t want to be tied down to a mortgage payment, and need to be able to move where the work is. Also, in many areas, renting is more affordable than buying –they can live close to work, without having to commute –they can move on easily when it’s time to. Renting also frees them up from having to worry about maintenance and upkeep. The numbers speak for themselves. It’s estimated that 59 percent of the new households that form between 2010 and 2030 will rent. Renters are on track to surpass homeowners, and contributing to an unprecedented demand for rental housing, and a shortage of rental properties. So to what do you attribute the growing interest in single family rental investing? It’s a great time for investors to get into the rental market. And with low-interest rates –currently at 4 percent for a 30-year fixed loan, now is a good time to lock in a mortgage rate. It’s also worth noting that the share of homes sold to first-time buyers in 2015 fell to 32 percent, according to the National Association of Realtors, that’s the lowest it’s been in almost three decades. In part, this demand is further fueled by limited housing inventory. The single-family housing stock that is absorbing the majority of renter growth comes from conversions of owner-occupant homes into rentals, which happened following the housing crash. 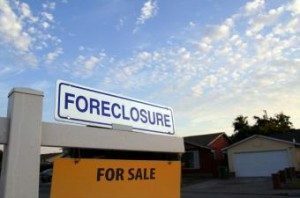 Part of this stems from foreclosures, as well as from owners who may have been reluctant to sell in a depressed market. Traditional investing in real estate certainly offers its own set of risks and rewards, but for the most part, it’s based on speculative investing, or buy-and-hold strategies. With single-family rental investment though, you don’t have to depend solely on appreciation or wait until you sell the property to turn a profit. Instead, it allows you to capture all four of what I call the “Home Value Pillars” –Equity, Appreciation, Long-Term Cash Flow, and Tax Breaks. So, you get the chance to build up equity in the home as you pay down the mortgage. There’s also appreciation, as well as the opportunity for long-term cash flow. Instead of a one-time payout that you’d receive when selling the home, you also get to generate income every month for as long as you’d like. Finally, rental property provides a myriad of great tax breaks. What type of properties/investment opportunities should investors keep a close eye on on? Individual and corporate investors both agree that there’s a substantial opportunity in single-family rental investments now, and the future. Rents have been steadily rising across the country, and experiencing growth especially in hot markets. For investors, the challenge is competing with other investors. When a house comes on the market –it gets snatched up quickly. For long-term investors, though, there are plenty of opportunities for growth. In particular, the low to mid-priced single-family residential housing market is a great opportunity for rental investments –and an area that everyone’s watching today. Plus there are lots of housing hotspots throughout the country to help focus investments. One of the things that makes this type of property such a popular investment for both large-scale investors and individuals alike is that the potential rewards over time are high –especially when compared to other asset classes. There’s also the fact that it’s relatively easy to get started –and once you’re in, you have the benefit of leverage that you just don’t have with other investments. What do you believe the future holds for the SFR market? Investors that are able to successfully rent out a home can expect profits between 6 to 9 percent annually, according to RealtyTrac. As we see turmoil today in the stock market and low-yield bonds, rental properties offer an ideal alternative and investors in the SFR market have experienced healthy returns. I believe that as demand continues to increase for single-family rentals, there are tremendous opportunities for both corporate and individual investors to expand their holdings in this area –especially as it compares favorably to other asset classes. How is the property management industry shifting to keep up with the new market realities? As we enter an era that sees demand for rental homes only continuing to rise, the opportunities to build wealth and generate income through rentals, particularly in the single-family sector are clear. However, the challenge is finding a way to expand their holdings, while at the same time being able to entrust the management of varied property investments to qualified property management professionals. I believe we’ll continue to see demand for services like ours that allow investors to add to their portfolios without having to take on the administrative duties - and stress - that traditionally came with rental property management.